Identification status: high confidence. 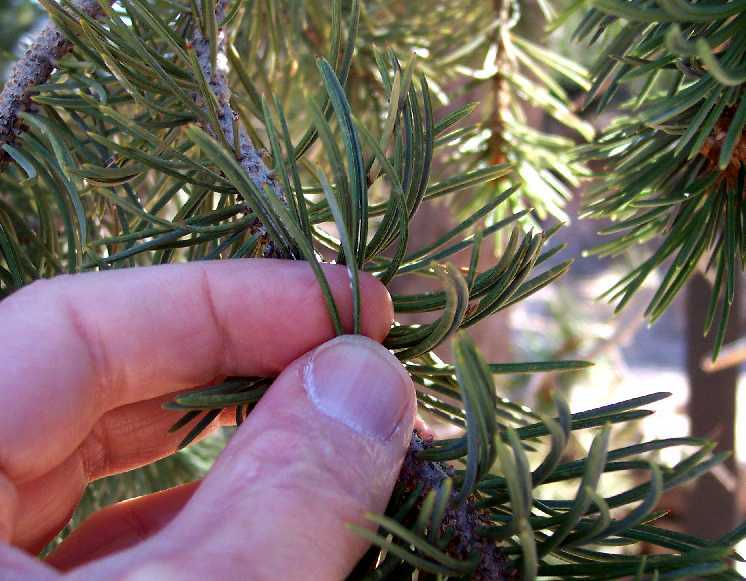 This is very easy to identify since it is the only pine at the Grand Canyon that has needles mostly in clusters of two (McDougall 1964 key on p. 29); see picture below. 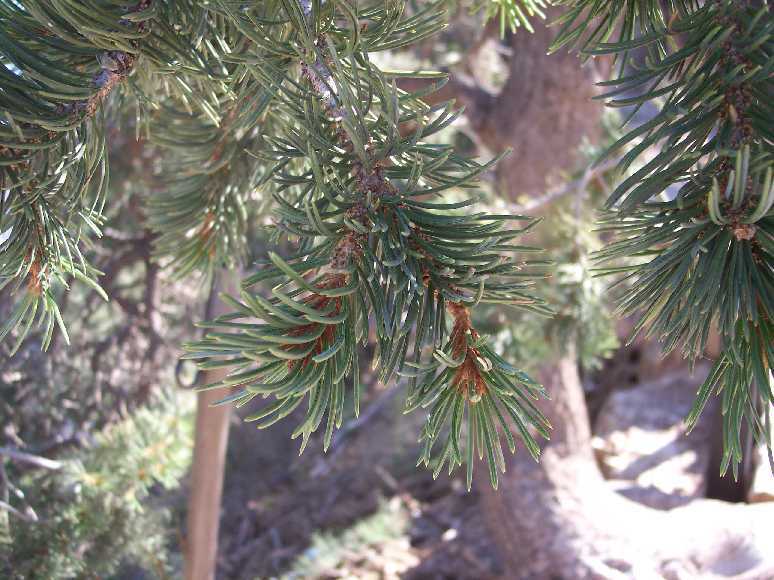 There are two other pine species at the Grand Canyon: Pinus monophylla, with mostly single needles, and P. ponderosa, with needles in clusters of three. 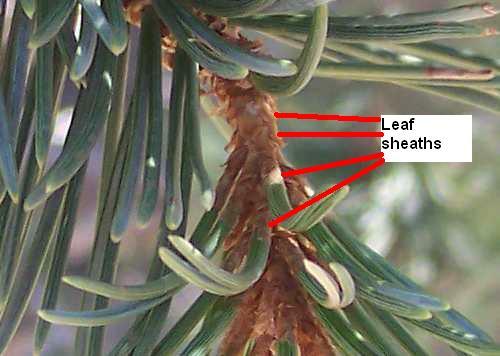 Pines have needles with sheaths at the base (see picture below); other trees in the Pine Family have leaves without a sheath at the base. Pinus edulis and P. monophylla are extremely similar species, differing almost entirely in the number of needles per cluster. Since each species has some variability in the number of needles per cluster, often on the same tree, the determination of some specimens is difficult, and some botanists question whether these species are actually distinct and have proposed making one species a variety of the other. According to the Flora of North America distributions, all specimens in nearly all of the Grand Canyon are P. edulis, with P. monophylla appearing possibly only at the extreme western end of the Grand Canyon (see distribution for P. edulis and P. monophylla). It is amusing to note that in the central and eastern Grand Canyon, there are occasional vouchers of P. monophylla amidst the sea of P. edulis, and in the San Jacinto Mountains in southern California, there are occasional vouchers of P. edulis amidst the sea of P. monophylla. It is quite possible that these "out of place" vouchers are misdetermined specimens of the dominant species that are variants in the number of leaves per cluster. From a SEINet search, there are 26 vouchers of this species from the Coconino County portion of the Grand Canyon. 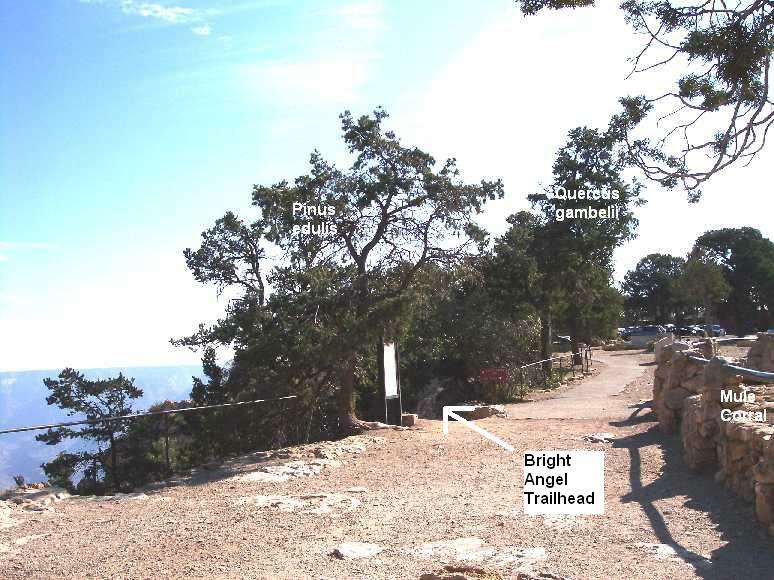 The nearest are at: Near Yaki Point; Yavapai Point; Nature Trail, South Rim; and Hermit Trail. Note that there may be additional vouchers at other herbaria not available through SEINet. 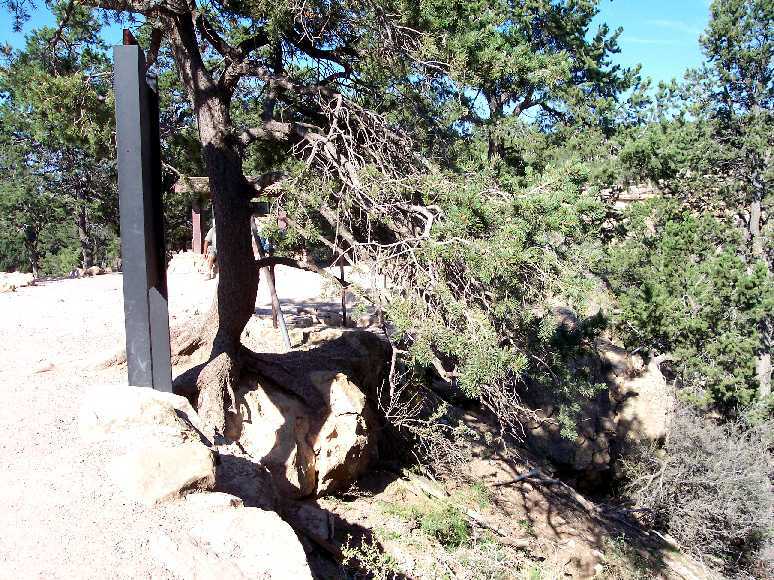 Number of plants along Trail: At least 50 plants were found in at least 9 different locations in September 2007. The following picture shows the leaf sheaths, which are just papery bracts that surround the base of the needles. The leaf sheaths remain attached to the stem after the needles drop. The above picture is a blow-up of a portion of the second picture above it.